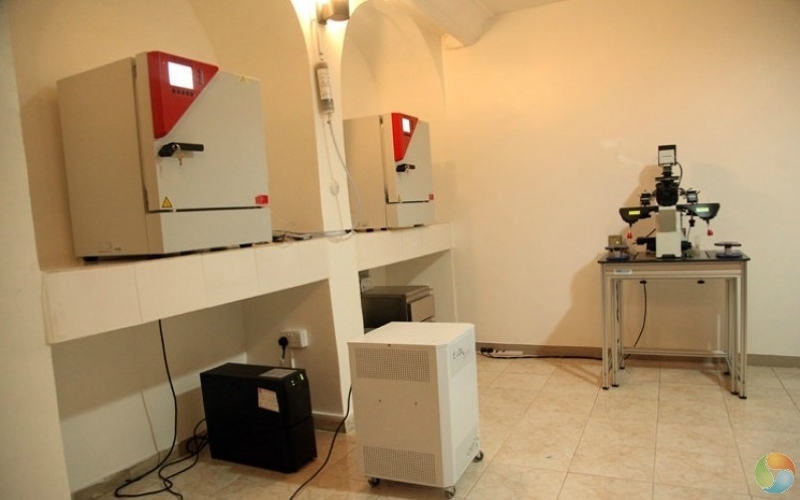 We will entirely educate you on the differences between individual units in terms of the range of treatments and special expertise available, how the individual unit would assist a couple and how successful the treatment is likely to be. At Deda Hospital, we specialize in fertility, general medicine and minimal access surgery. We are located in the welcoming Gwarimpa District in Abuja, Nigeria. 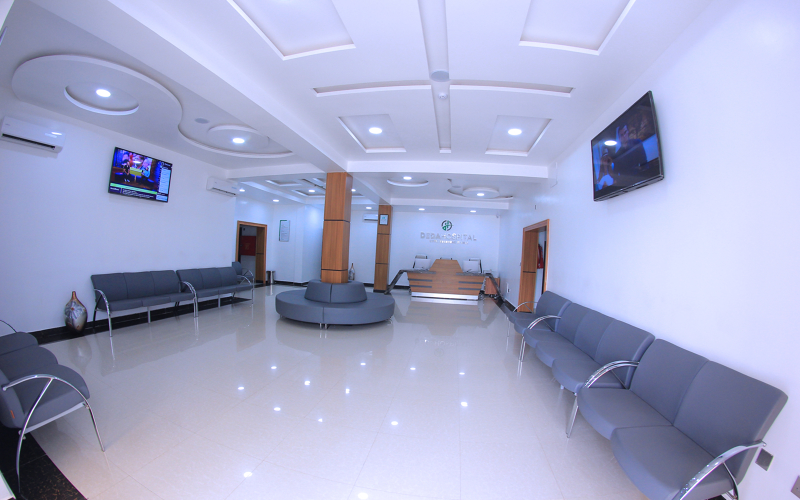 Our team has created a comforting atmosphere for all our patients and partners — a serene ambience in a desired location. Our success rate are unmatched as we are bringing smiles to many homes. 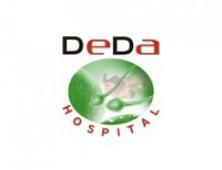 Deda Hospital has a reputation for its women’s health services. We are able to draw upon a wide range of clinical expertise required to suit the particular needs of individual couples. 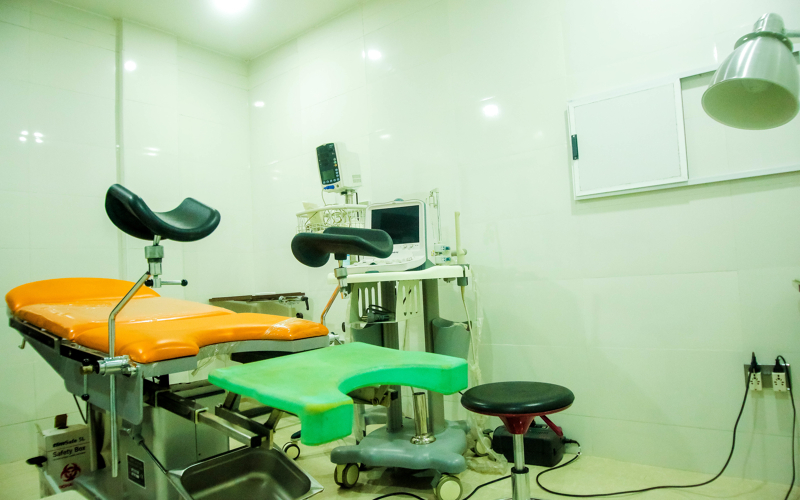 This includes access to full gynecology and andrology services. 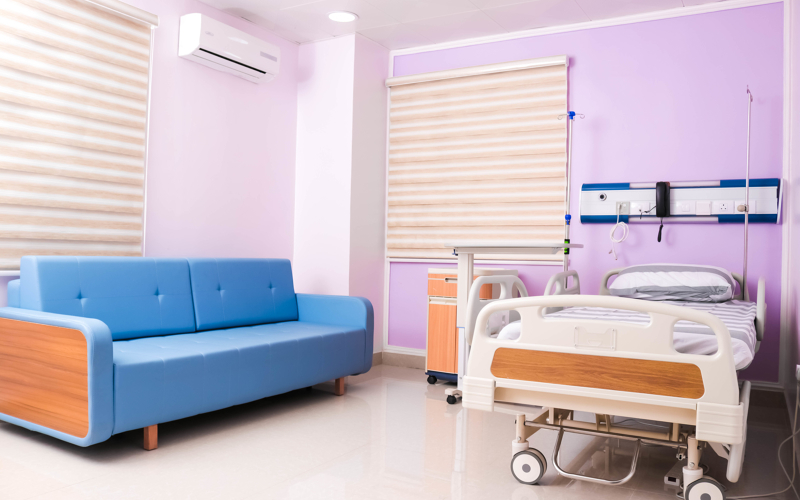 Our fertility services include advanced assisted reproductive technologies (ART) services such as in vitro fertilization - IVF, intracytoplasmic sperm injection - ICSI, and egg donation. 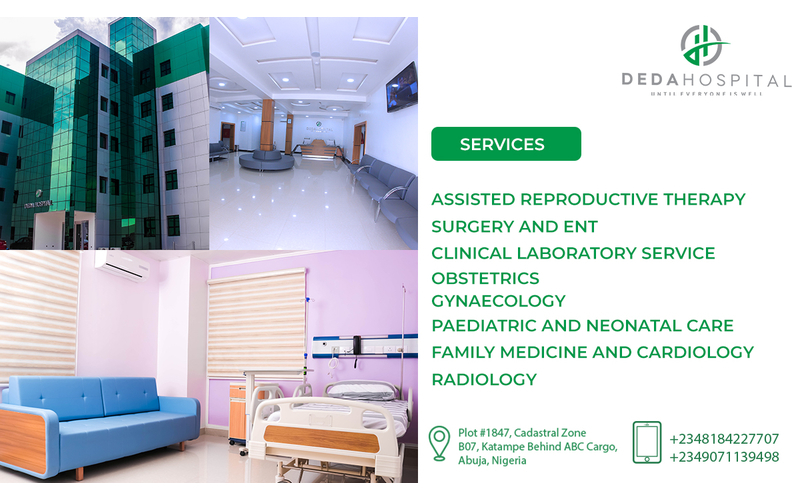 After opening in 2012, Deda has sustained growth by offering state-of-the-art facilities and services for patients, families and visitors. From the moment you step into the magnificent lobby, you'll enter a healing environment that supports the visionary care that we deliver. We're reinventing everything a hospital should be. A fertility program with the highest possible IVF and egg donation success rates. IVF and egg donation pricing options, including shared risk plans. We are committed to providing the best medical and scientific services currently available within this field. We do so in an environment of genuine care, warmth and support for couples and other patients attending the Hospital. 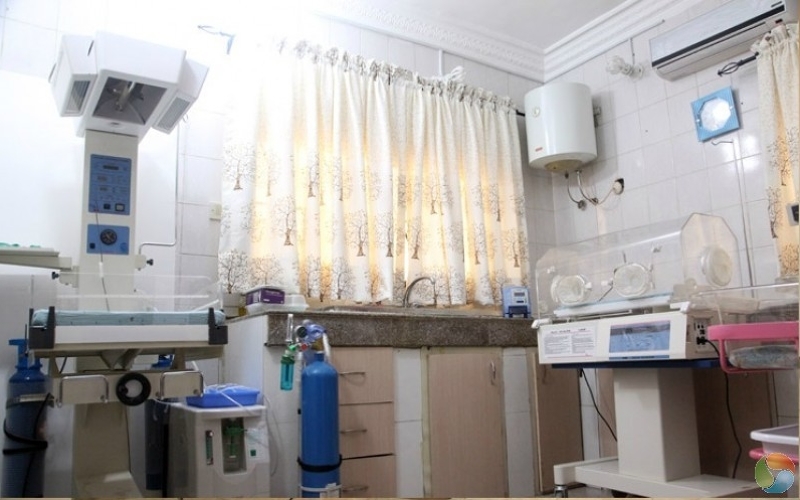 Maternity care: Premier NISA Specialist hospital provides antenatal and maternity care to a huge population of pregnant women in Abuja and it’s patient throughput in this area is tremendous. As director of Clinical Services, am responsible for ensuring that services offered to clients are of high quality and that clients derive maximum value for their patronage. 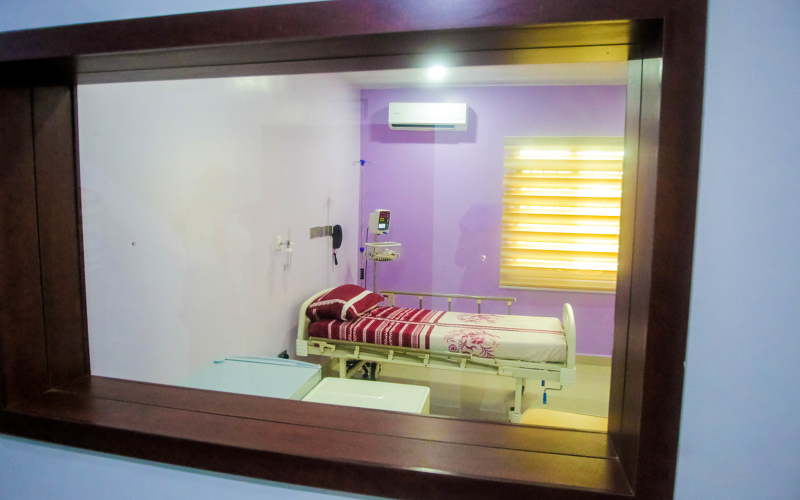 In the past one year, we provided maternity services to over 10,000 women in Abuja and Port Harcourt. This includes more than 1500 Caesarean sections, 500 assisted breech deliveries and at least 150 instrumental deliveries. 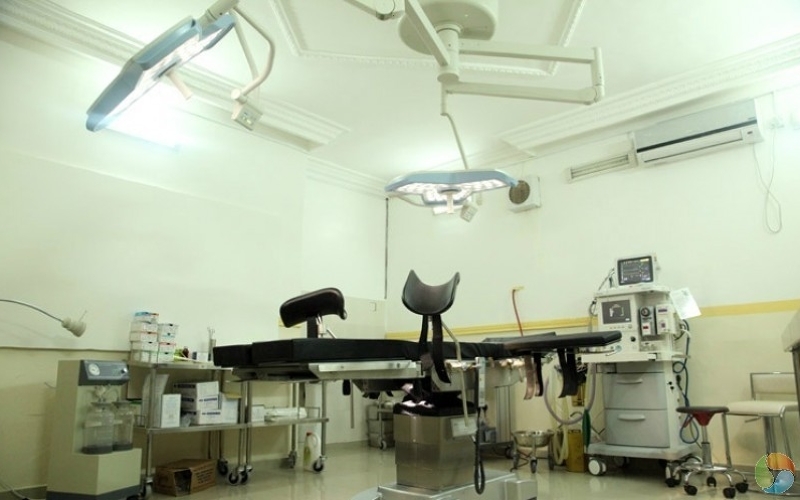 Minimal access surgery: As the clinical team leader, I am responsible providing endoscopic surgeries including more than 400 diagnostic and therapeutic laparoscopies, more than 500 assessment and therapeutic hysteroscopy including myomectomy and adhesiolysis. 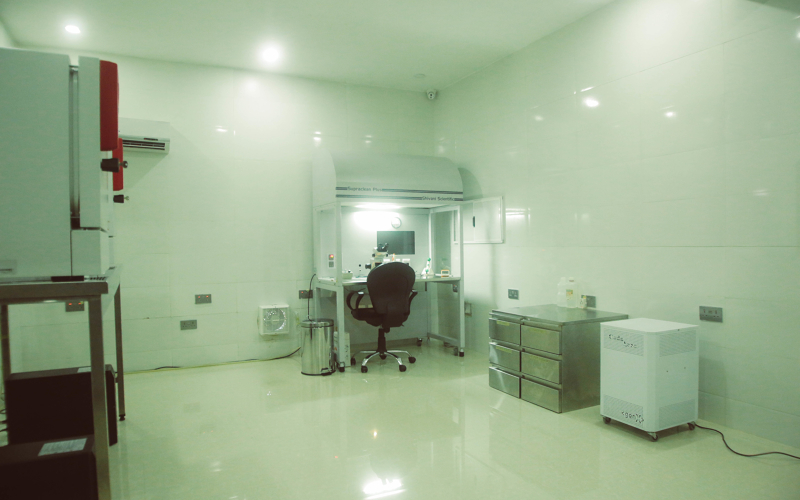 Other Gynae Surgeries: I am the lead physician for the all gynecological surgeries; over the years, we provided more than 150 abdominal and 50 vaginal hysterectomies for various indications, and more than 250 myomectomies. And a host of other surgeries. 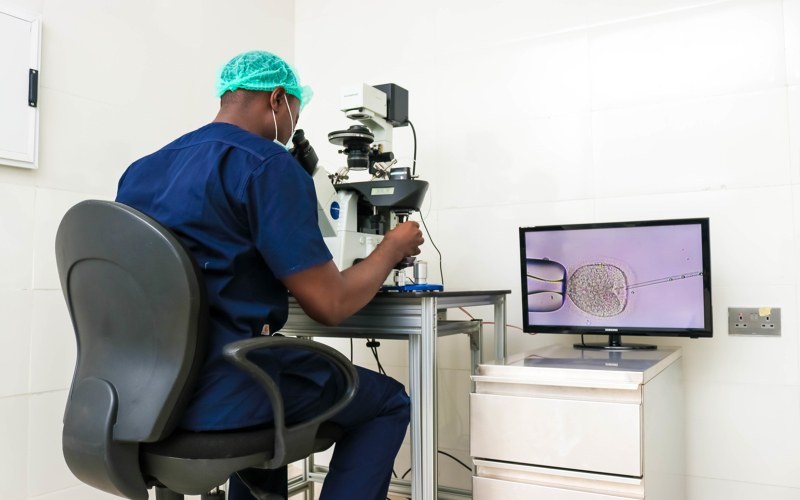 Assisted Reproductive Technology: As the lead fertility specialist I was involved in over 6000 In Vitro Fertilization (IVF) and Intra-Cytoplasmic Sperm Injection (ICSI) cycles. Administrative: As the technical administrative lead of the hospital, am responsible for training and capacity building for resident doctors, house officers and other paramedical staff. I ensure that staffs Morales are maintained high enough to meet our clients’ expectations. I am also coordinating all research and training programs. 2003 – 2005 Research Fellow, Macarthur Foundation Fund for Leadership Development Grantee in Reproductive Health. The research work titled community role in reduction of maternal mortality was carried out in Odolu community of Igalamela LGA in Kogi state. It is a field work aimed at reducing maternal mortality by encouraging community participation and capacity building. Target objectives were: to improve utilization of family planning methods and modern antenatal care facilities, to address the poor attitude towards and misconception about the common causes of maternal mortality, to improve the knowledge of traditional birth attendants (TBA) and their referral attitude. Major activities were via focus group discussions, in-depth interviews and use of IEC materials (posters, handbills, one on one discussion, workshops/ seminars and media campaigns). Serial media campaign (weekly) on radio kogi featuring varius aspects of reproductive health and training of identified community TBAs. Amongst others, my major achievement in this hospital was the establishment of hospital friendly initiative. 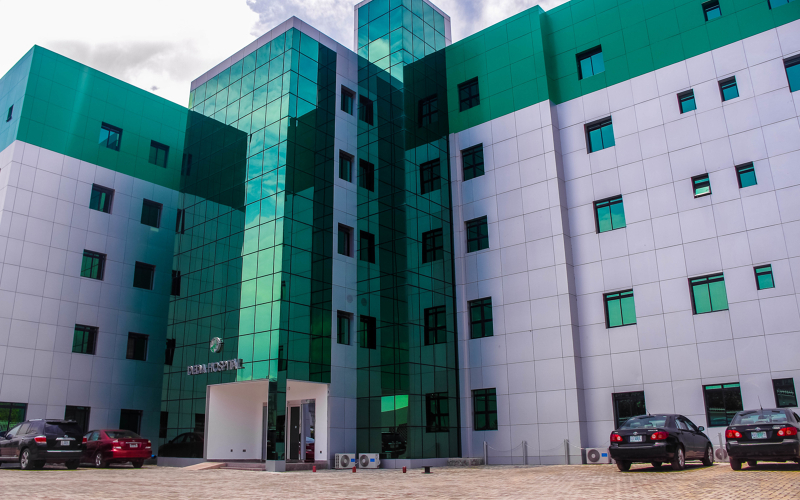 The District hospital was a community initiative built and operated by a philanthropist and donated to the community. Ensuring community ownership and participation in the affairs of this hospital was crucial to its sustainability. As a corps member doctor, I was concerned that the philanthropist may, in the long run become fatigued and decided to mobilize the community to set up a hospital/community forum known and the hospital friendly forum. This group was responsible for managing the affairs of the hospital especially resource mobilization form government and other philanthropists. The hospital friendly committee is still in place and running well. 1998 – 2000; Registrar, University of Benin Teaching Hospital, Benin City. Edo State. As a resident doctor under the department of O and G, I acquired basic clinical skills in obstetrics and gynecology, ran antenatal and postnatal clinics, family planning clinics and general gynecologic clinics. Other functions include attending deliveries including instrumental deliveries and caesarean sections. 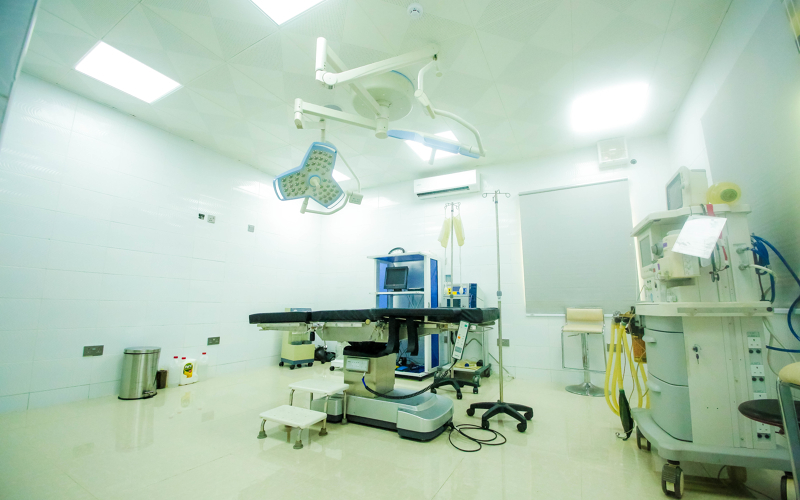 general gynaecologic surgeries, participation in research works basic posting in Neonatology, Anaesthesiology and General and Urological Surgeries. 2000 – 2002; Senior Registrar, University of Benin Teaching Hospital, Benin City. Edo State. I acquired more complex clinical skills in obstetrics and gynecology and facilitated complex deliveries including instrumental deliveries and caesarean sections, participated in research works and publications, provision of essential obstetric care, antenatal care and family planning to patients, training and supervision of medics, house officers and registrars, co-ordination of some departmental activities especially call duty roster and departmental orientation. 1998 – 2002 University of Benin Teaching Hospital, Benin City. Edo State. 1982 – 1987 Ochaja Boys Secondary School, Ochaja, Kogi State. 1976 – 1982 QIC Primary School, Odolu, Kogi State. Prof. Majekodunmi’s Price for the Best Candidate in Part II (Final) Fellowship Examination in the faculty of Obstetrics and Gynaecology, 2003Grant Award by the John D and Catherine T MacArthur Foundation Fund for Leadership Development (2003): Field work on ‘Community Role in Reduction of Maternal Mortality”NYSC State Honours Award 1995.Best Student in Psychiatry 1993 Graduating Set (ABU, Zaria)Second best candidate in IJMB Examination 1998 Music, Reading. 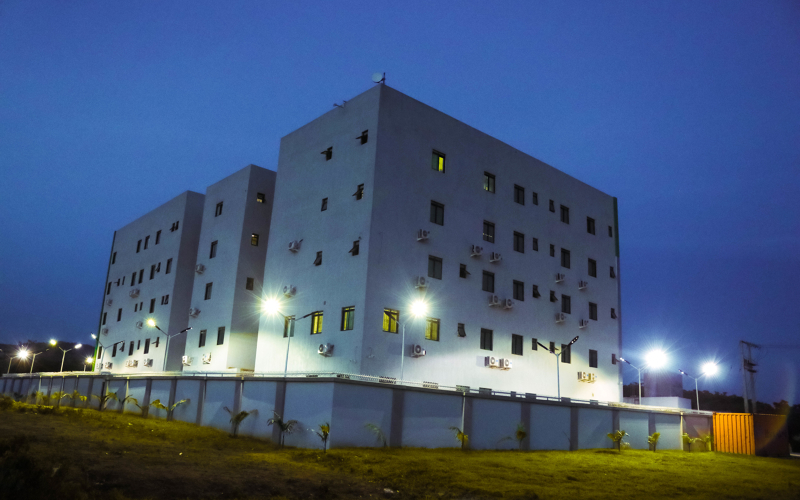 Impressively located amidst ethnic and religious zones, Abuja is home to the country's Presidential Branch, National Assembly and Supreme Court. A striking art structure soars wonderfully over the city's central government district. The calming and modern architecture of the city is reflected in notable sites like the National Mosque, the National Christian Centre and the National Stadium. Abuja attractions: Abuja handicraft village, IBB International Golf and Country Club, Silverbird Galleria Millennium Park, and Gurara Waterfalls. Nigerian main food palate is an appetizing mixture of rice, yam, plantain and beans. Abuja is home to the famed fufu recipes, including Cassava Fufu, Pounded Yam, Garri (Eba), Amala and Semolina. Every dining option in Abuja gives you the opportunity to taste the tantalizing culture with every bite. 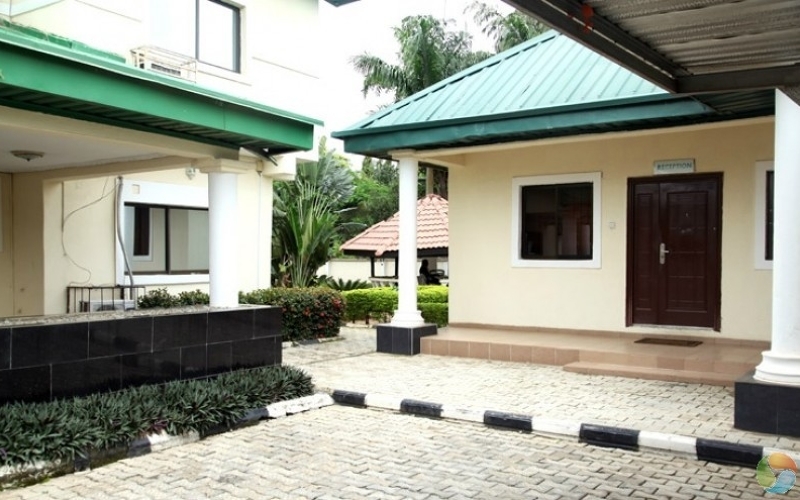 Close to the amazing Abuja tourist attractions, hotels in Abuja are set upon the most beautifully landscaped gardens and give way to modernized architecture. Each hotel offers a wide range of leisure facilities and stylish guest rooms to unwind and relax. 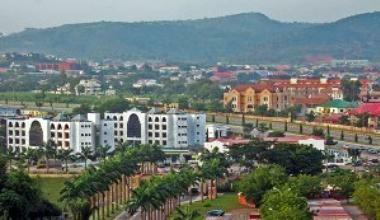 Escape to Abuja.... it’s waiting for you.